Engaging the minds, hearts and bodies of participants, the arts are recognized as extremely effective tools for developing cognitive, social, personal and academic competencies. Children who have access to artistic media and instruction learn self-expression, creative problem-solving, tolerance in diversity and a host of other skills that help improve academic performance, social ease and workforce preparedness. We believe that practicing creative self-expression is integral to the education of our children. The Go Live program exposes every second grader from public schools, private schools and home schools in Alamance County to high-quality theater and theater education. First, Alamance Arts offers an orientation workshop for all second grade teachers to introduce them to the performance and its educational components. 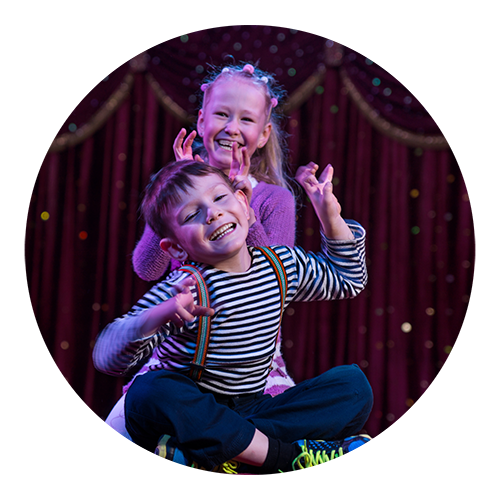 We then divide all of the classes into groups to see performances at local schools performed by a touring children’s theatre group. Our goal is for the students to have a memorable experience of professional grade theatre. To follow up, we present a theatre workshop that ties in with the performance at each of the schools. Alamance Arts works with the After School programs in Alamance County to provide enrichment activities once a month for five months to elementary schools in Alamance County for the “RAMP It Up!” program. The activities are meant to encourage individual creativity and the arts. Previous activities have included weaving, pottery, drama and more. While simply having fun remains a key ingredient, the program also benefits students by nurturing innate creativity; building skills in self expression, communications, problem-solving and group dynamics; and boosting the self-confidence of participants, strengthening their resilience and instilling in them a new enthusiasm about school and their daily involvements. 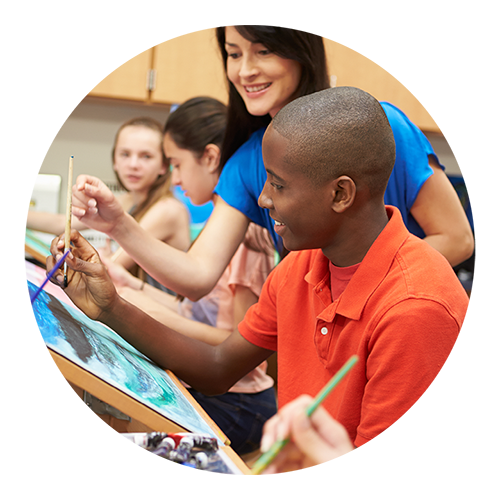 Alamance Arts identifies, contracts with and orients art instructors for the program based on skill and their ability to create a healthy and energizing classroom environment. Interested instructors should contact Alamance Arts during the summer for more information regarding the upcoming school year. Schedule a field trip to see our current exhibition. We will arrange for a docent tour and exhibition related activities. Alamance Arts invites you and your children every 3rd Saturday of the month from 10 – 11:30 a.m. for Family Fun Day! We create a variety of crafts and artwork based on a unique theme for each month. We also choose an artist to highlight and create an inspired craft from their artwork. There are also door prizes, face painting and visits by Arty the Mouse, who lives in our big yellow house! The cost is a mere $3 per family, and walk-ins are encouraged! 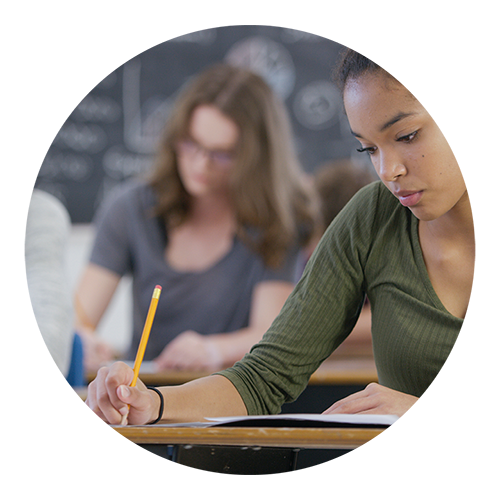 Each year Alamance Arts offers scholarships to students planning to further their education in one of the arts disciplines. The four scholarships are awarded in the amount of $500 each. Deadline is April 20, 2019. Download the current application here.